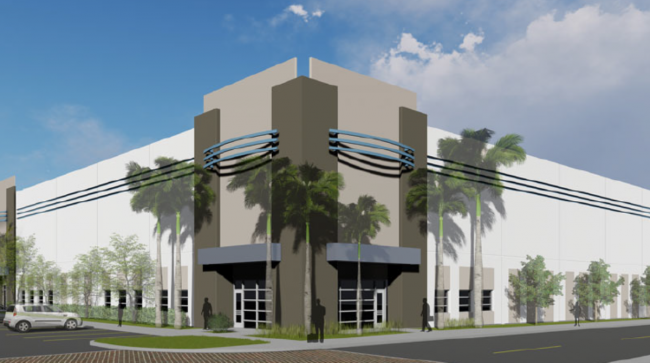 A Denver-based developer got a $36 million loan to finance construction of more than 800,000 square feet of industrial space in Pompano Beach. Industrial Property Trust got the loan from JPMorgan Chase Bank to finance construction of an 822,473-square-foot industrial park called Pompano Crossing. The development would include three industrial buildings, each with approximately 221,000 of space, and a fourth building spanning almost 160,000 square feet. Industrial Property Trust acquired the 48.8-acre development site for $21.8 million in 2017. The site’s address is 1380, 1300, 1280 and 1250 Northeast 48 Street. The Denver-based real estate investment trust bought the Pompano Beach property from Pre-Cast Specialties. The Sun-Sentinel reported that Pre-Cast Specialties, now known as Cianelli Group Holding Inc., closed its concrete fabricating facility in Pompano Beach after selling the property.